WLYF (101.5 Lite FM)/Miami Inks Extension With Morning Co-Host Tamara G.
The singer, back as The Voice coach for the current season, climbs into the Top 30 at Hot AC with her latest single featured in the upcoming animated film UglyDolls. WWMX, WTMX, KMYI, WSTR, KMXP, WMC, KZZU, and many others. Born in Iowa, the singer-songwriter won season 16 of American Idol. This single will be featured on her debut full length release, coming May 17. Early airplay at KSTP, KSTZ, WRVE, The Pulse. An Electro-Pop trio from Washington DC, whose song came to life as part of an Apple MacBook Air commercial last year. 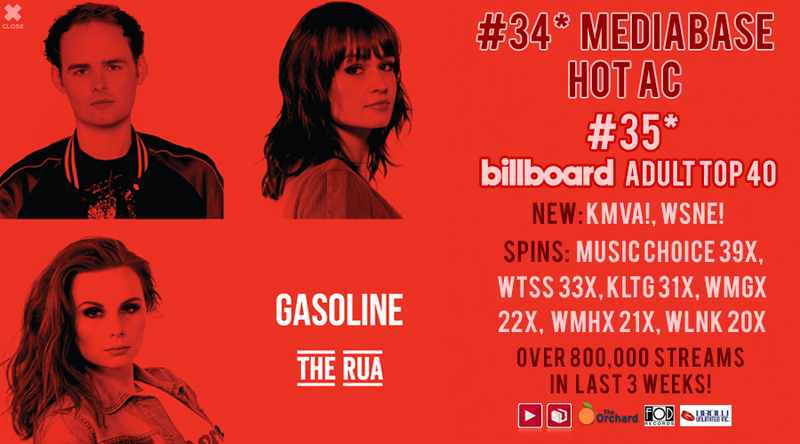 Top 5 Alternative, Top 30 AAA, and now Top 25 at Hot AC. WNEW, KLLC, KHMX, WRQX, WSTR, WWBX, KMVA, KTCZ and lots more. Over 6 million combined views. Now Top 25 at Hot AC and this week’s Greatest Gainer. Featured in the film “Five Feet Apart.” KTCZ, The Pulse and WQAL led the way, along with other support including WTMX, KLLC, KIOI, WRQX, WSTR, WWBX. Over 14 million combined views. At the Networking Cocktail Reception hosted by Benztown at this year's WorldWide Radio Summit at the Castaway in Burbank, entertainment was provided by the industry all-star band "The Impeachments" (top image) as well as Nick Howard (Satellite Music) and Brown & Gray (Arista Records). RCA recording duo Flora Cash visited Saga HAC WVMX (Mix 107.9) Columbus, OH for last Friday’s Mix Music Lounge. Shown (l-r) with OM/PD Michelle Matthews are Shpresa Lleshaj and Cole Randall. Sending Concord's Karen Durkot Off in Style! Celebrating the life of times of the soon-to-be retired Concord Records VP Promotion, WMMR-WMGK/Philadelphia PD Bill Weston, All Access Hot AC Editor Tom Cunningham, Artist Cooperative partner/New England Promotion Executive Andrew Govatsos and Red Light Management/ATO Records Northeast Promotion Manager Ed Pinka.